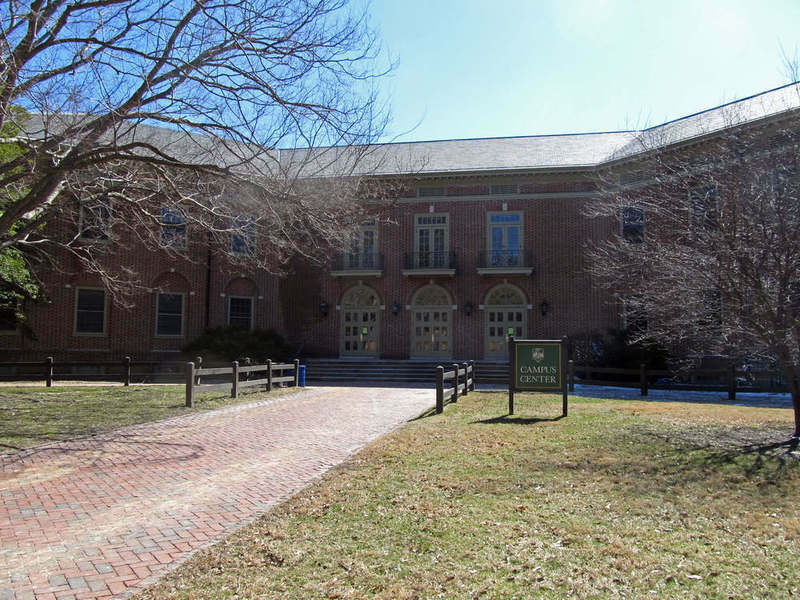 The Campus Center, located at 104 Jamestown Road, is an L-shaped building situated between the Reves Center and Taliaferro Hall. It is the home of a number of administrative offices, including the Center for Student Diversity and the Dean of Students, as well as student-run organizations, such as the Flat Hat News and Alma Mater Productions (AMP). Notably, the Campus Center contains the Marketplace, one of the three main dining halls operated by William & Mary's Dining Services. 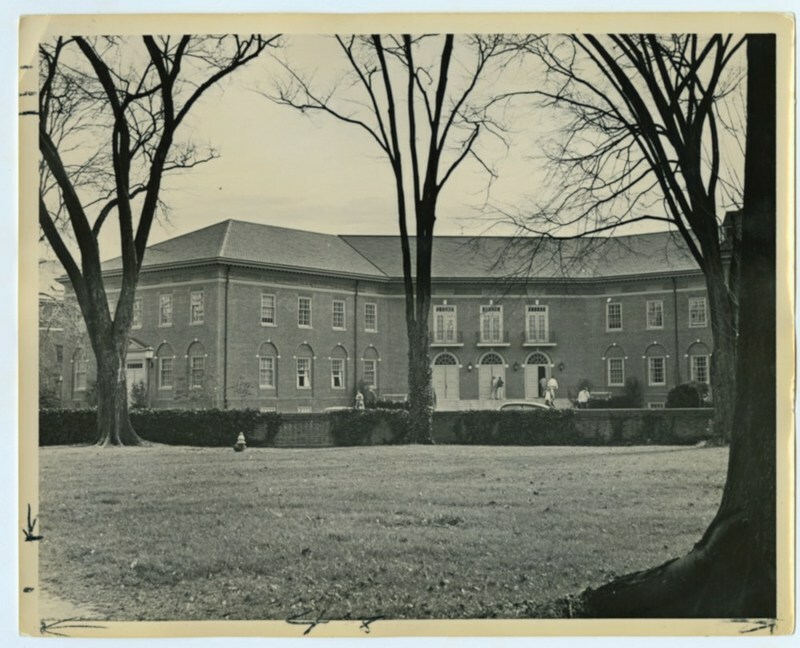 The building itself was originally opened under the name Trinkle Hall in 1926, a replacement to the Dining Hall that opening in 1914 and was destroyed by fire in 1925. The Wigwam, which operated from 1942-1986, served as a bookstore, soda shop and coffee shop and was located where the Marketplace stands today. 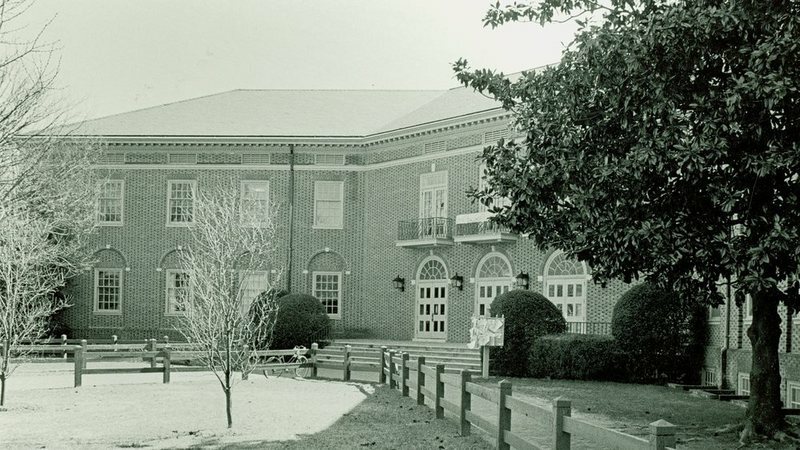 In 1983, a $1.2 million renovation of Trinkle Hall was proposed to transform the building into a student activities center and to alleviate overcrowding at the Commons Dining Hall. The 23,000-square-foot complex was renamed the Campus Center with the Great Hall (the former large dining hall) being renamed Trinkle Hall. Today, Trinkle Hall is a large, multipurpose space that can be accessed through the Campus Center. Campus Center, 2015: The front exterior of Campus Center in 2015. ~ Source: University Archives Photograph Collection, UA 8. ~ Creator: College of William and Mary. 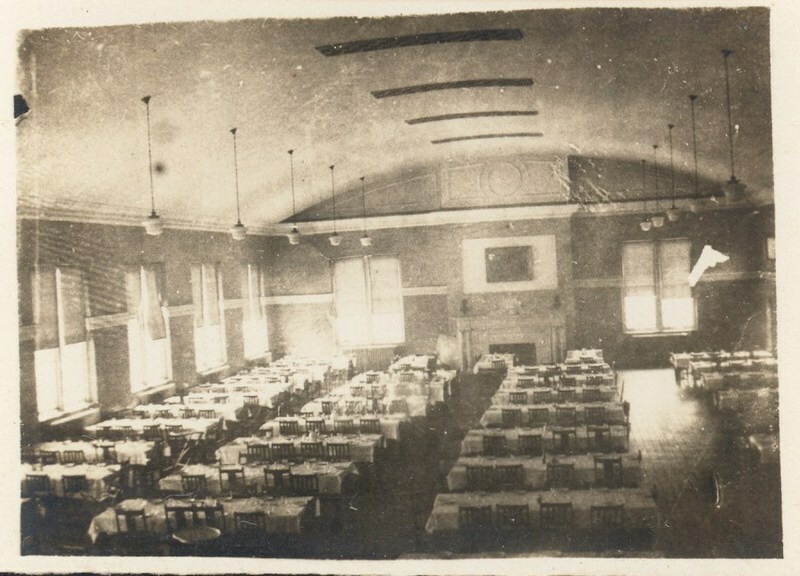 Trinkle Hall, 1928: The interior of Trinkle Hall, now renovated as part of Campus Center, in 1928. ~ Source: University Archives Photograph Collection, UA 8. ~ Creator: College of William and Mary. 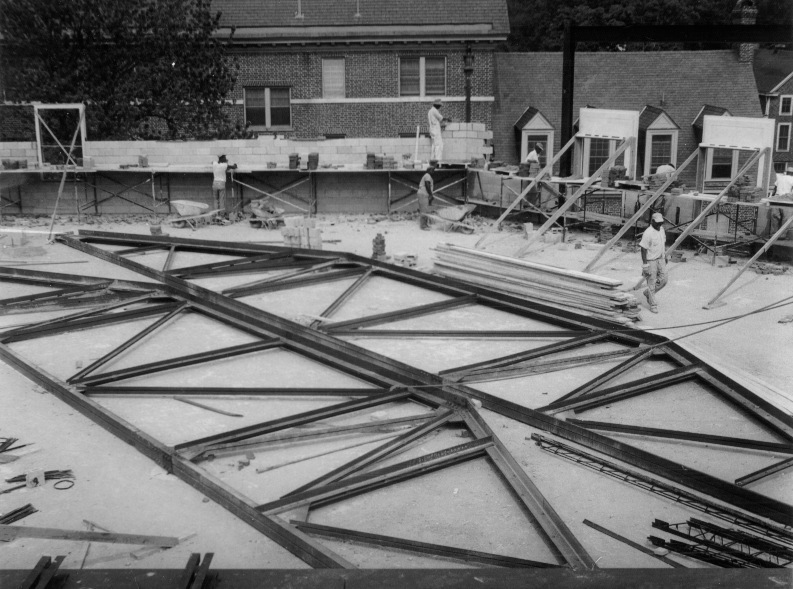 Campus Center under construction, circa 1959: An image of the Campus Center under construction around 1959. ~ Source: University Archives Photograph Collection, UA 8. ~ Creator: College of William and Mary. Campus Center, circa 1963: An exterior shot of Campus Center on Jamestown Road from approximately 1963. ~ Source: University Archives Photograph Collection, UA 8. ~ Creator: College of William and Mary. Campus Center, undated: The Campus Center as it faces Jamestown Road. ~ Source: University Archives Photograph Collection, UA 8. ~ Creator: College of William and Mary. Wigwam in Campus Center, circa 1950s: The Wigwam, located in Trinkle Hall, operated from 1942 through 1986. The Wigwam served as a bookstore, soda shop and coffee shop. ~ Source: University Archives Photograph Collection, UA 8. ~ Creator: College of William and Mary. 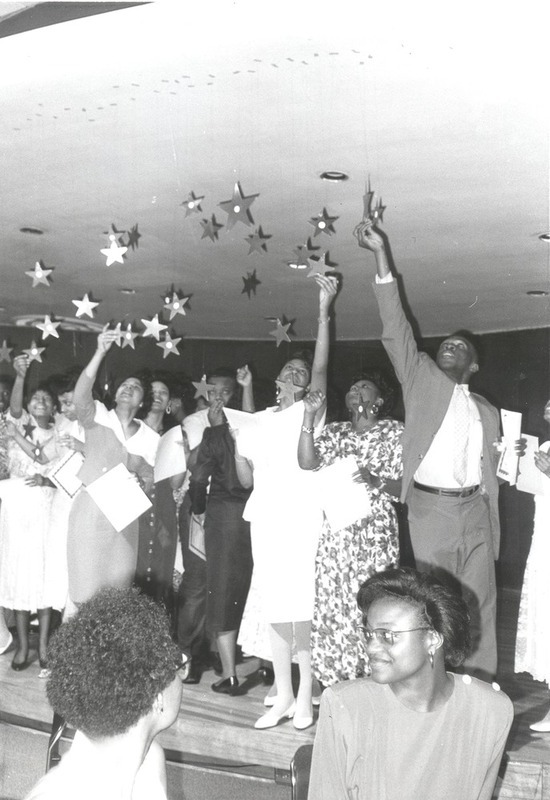 Black Student Organization, 1991: A photograph of the Black Student Organization's reception for graduating seniors at the Campus Center in 1991. ~ Source: University Archives Photograph Collection, UA 8. ~ Creator: College of William and Mary. 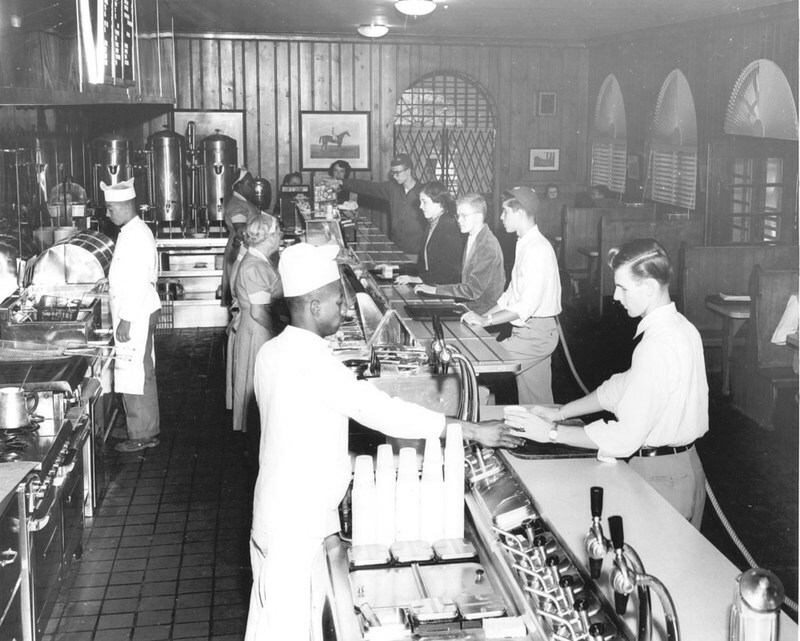 Marketplace, undated: An undated image of Marketplace, today's dining hall in the Campus Center. ~ Source: University Archives Photograph Collection, UA 8. ~ Creator: College of William and Mary. 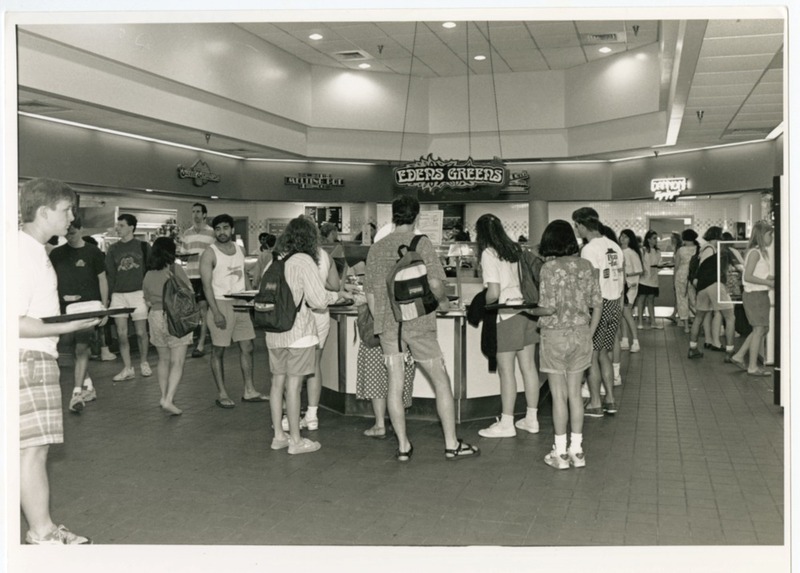 Special Collections Research Center, Swem Library, College of William and Mary., “Campus Center, Constructed 1958-1960,” TribeTrek, accessed April 26, 2019, https://tribetrek.wm.edu/items/show/37.